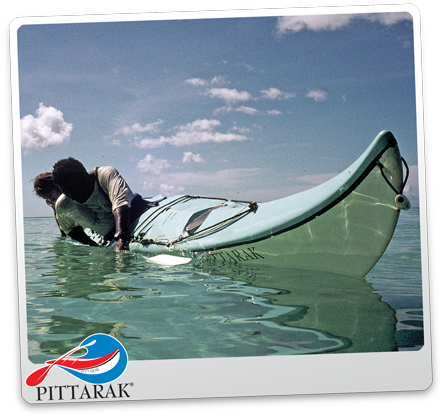 I find that people who learn in the ocean from the start make great sea kayakers. 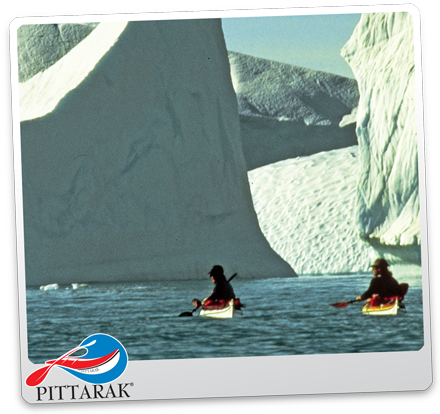 Generally kayakers who learn in harbours or lakes develop fears of the sea that can take a while to get over. When finally the barriers are broken only then do they realise what they have been missing out on. When I teach beginners, I like to analyse their immediate confidence—find out whether they are water people, how quickly they are going to advance, levels of fitness, how suited they are to the kayak they’ve chosen (eg does it fit them or do they fit it?). I then advise them on how to trim out their yak. After one day my trainees are close to rolling, if not doing it already. actually manage well. In breaks between rolling, I teach defensive paddle techniques, the art of staying upright and my own system of kayak control. I take groups of four to six people off the Sydney heads. I select kayakers within the group to keep an eye on one or two whom I consider lesser water savvy. We stop regularly. With this technique, the group stays pretty tight. We may attempt a deep-sea roll but that’s up to the individual. I usually carry flippers and a mask. I find flippers more useful than a life jacket. My priority for safety starts with the environment-the weather man’s view, then my own assessment. How are the clouds reshaping, if at all? If I’m down the coast and conducting an overnight trip or longer, I like to contact the lighthouse keepers from each direction of me to find out his or her personal feelings on the future forecast. Grades don’t count if a ground swell moves in against an unexpected off shore wind. The point is an instructor should know the signs beforehand. There are so many. For example, long and strong cloud line on horizon but no wind or swell will mean long and lengthy swells approaching in no more than two days (ground swell). Your next camp selection could determine how long you wait for a lull. Clear ponding of surface texture indicates strong tidal change (even out in Bass Strait). A pressure change in the weather, (undetectable by us) triggers grub movement in trees. Around our coast, the black cockatoos go crazy, screeching their heads off. This means prepare for a change–sometimes only slight. Prepare for a change! Insects, birds (land and sea) hold weather secrets to the near future. If the group has a safe ratio of responsible leaders and the journey has places in between destinations to pull ashore or the journey is not too strenuous, I think beginners can only benefit from such an experience. They may need to carry hiking boots for a walk-out but that’s ok. So long as they understand the options. Our trips shouldn’t be so much a thing of fear but of healthy respect and understanding.